Last fall I received a message from Kim Walnes inquiring about scheduling a Shamanic Healing Session with me. 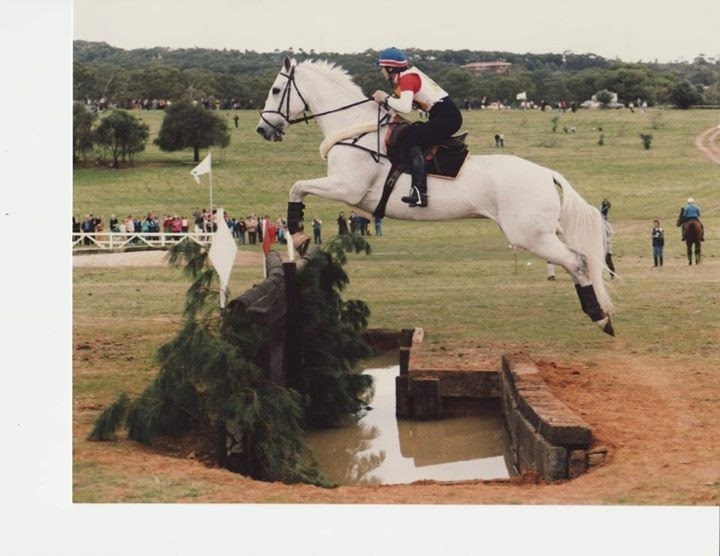 Even though I am not an Eventer, I had heard of the legendary ‘Gray Goose’ who Kim had owned, trained, and evented him to stardom in the 80’s… Literally. Kim with Gray Goose were Double bronze World Championship medalist, and Winner of Rolex and the Gladstone Trophy. In 2012 the Gray Goose was inducted into the USEA Hall of Fame. We talked and I learned that her stallion Gideon (a relative of the Gray Goose), needed some healing. Gideon is a 1/2 Connemara X 1/2 Irish Sport Horse Stallion who she bred & raised & trained. 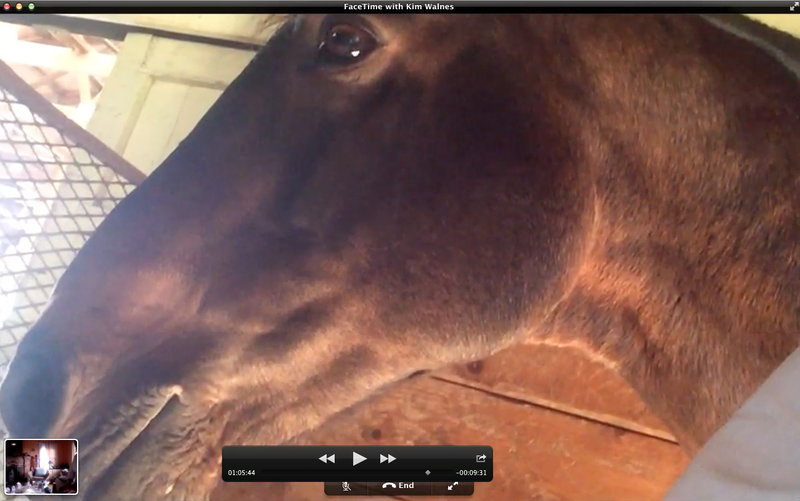 On the appointed morning, we met on FaceTime, with Kim holding her iPad while standing with Gideon in his stall. We connected and I met the regal gaze of Gideon. Gideon tuned in right away. “Saturday Gideon had a healing shamanic session via FaceTime with Karen Hisata in California. Kate Schmidt-Hopper had posted about a similar session with her horse Bini and Karen, and I was fascinated. So I figured out how to use FaceTime with my iPad, brought Gid in from the field, and gave him some hay in his stall so he’d have a full tummy and could focus on the session. He came over politely when I asked him, and I introduced him to Karen via the iPad. 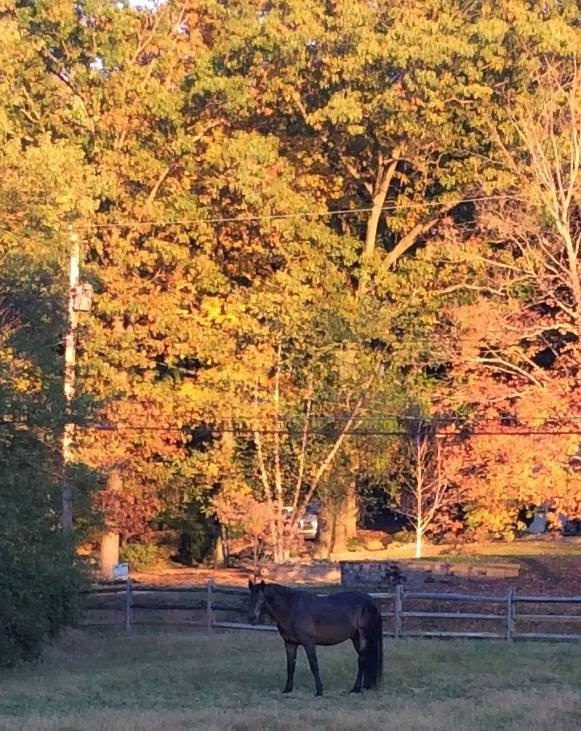 Then he went back to searching his stall for stray blades of hay. However, from her first drum stroke, he came right back to me, and as you can see from the pictures she took of her screen, stood cheek to jowl beside me the whole first part of the session! It was really resonating through my body as well. Karen took a break to gather some materials, and Gid became distracted by horses being led up and down the aisle and other barn happenings, but once she returned and began using her rattle, he once again plastered his head next to mine with total focus on the iPad. It was a truly amazing experience. The next day, I noticed him correcting HIMSELF in the way he was standing in his stall…placing his hind feet farther apart, and not spreading his front legs so far in order to reach hay on the ground. Two days later, his back was much improved, and his ligaments much tighter and non reactive upon palpation. Kim said that Gideon smiles when he is pleased! “I am happy to say that the Shamanic Healing session with Karen Hisata back in October really bumped up his progress, and those hind suspensories now seem to be healed. They are tight and cold–so much easier to tell in this cold weather! There is residual shortness and stiffness in his hind legs, but he works out of it, and so I’m thinking that at his age of 21 and getting very little work in the past year due to his issues and mine, arthritis may be the culprit. Unfortunately, Gid misunderstood something we brushed on in the first session with Karen. The subject of his new focus on breeding this Spring came up, but he had a different timeline in mind, which was NOW. As a result, his testosterone spiked, and he suddenly became someone I had not met before. Not fun for either of us, and he got away from me when I was doing In Hand work with him outside. Luckily it was a cold day and the barn was shut up. So Karen did another healing Journey with him, Grandfather removed some of the testosterone, and he has been much improved since then. Her sessions are amazing! “I have some great news! I rode Gideon for the first time since we’ve been working with the Shaman, Karen Hisata, and wow! The anomaly in his back that first appeared after last winter is completely gone! He once again felt free and flowing. The lumbar vertebrae that body work wasn’t helping are once again smooth and flat and are staying that way.